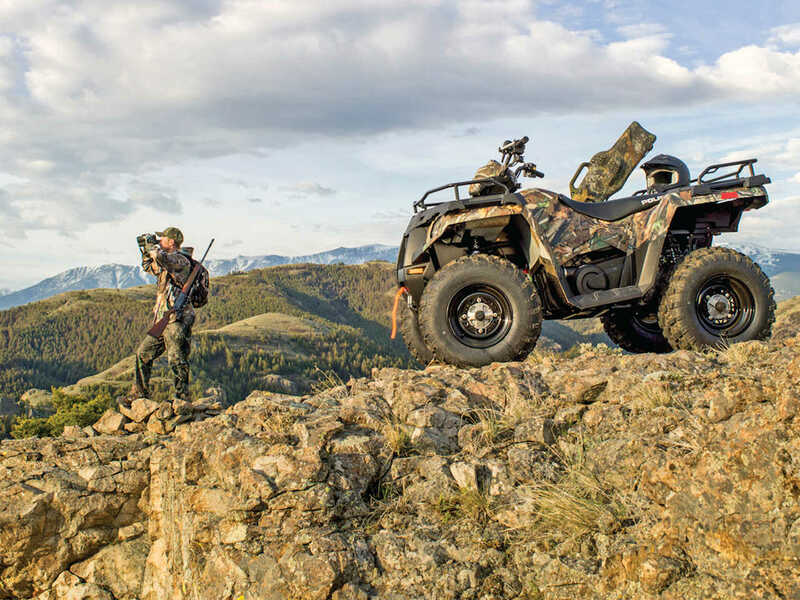 To bring home big bucks, truckloads of hunters spend big bucks on the latest bow, custom rifle, and NASA grade optics, but despite how technology has changed hunting in the last decade, no other tool we can think of has transformed the sport more than an ATV or UTV. 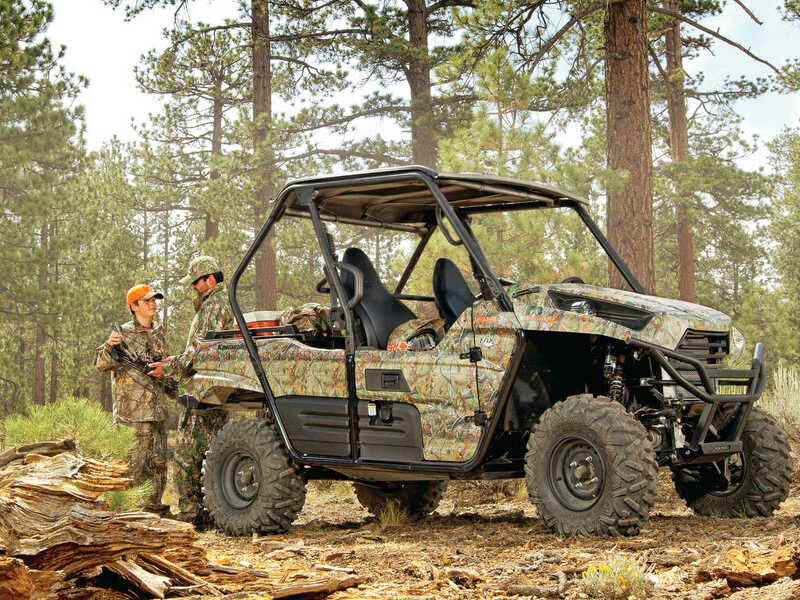 If there were ever vehicles made for the needs of hunters, these are it. Thanks to their ability to cross difficult terrain, it’s also possible to get much farther away from camp. For hunters with limited physical capabilities, that can mean the difference between getting out in the woods and not going at all. 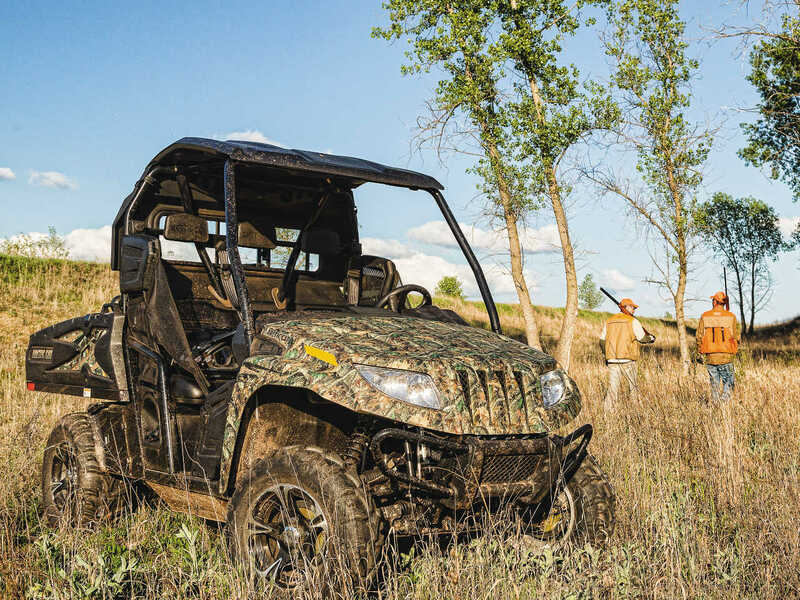 With thousands of ATVs and UTVs to be parked in front of rickety cabin doors this fall, we wanted to share a few of our machine tips for hunting season. 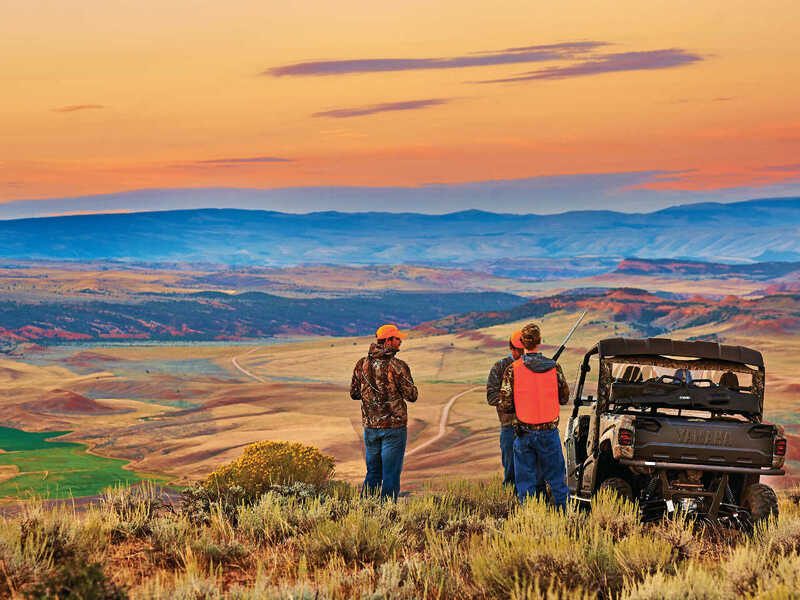 Pick a tire that matches the terrain where you’ll be hunting. If you’ll be slogging across a muddy field, go for an open tread pattern that will get traction and clean out well. Rocky trails often mean sharp rocks, so pick a tire with a strong sidewall to resist cuts. Whatever tire you choose, don’t go overboard on size which causes a lot of extra stress on drive line components. One size up from stock is usually O.K. There are plenty of good tires available, and companies like ITP, DURO, and VEE RUBBER have options that are sure to work for where you are headed. For hunting season we also inflate our tires to the upper range which is better for carrying a load, but also helps resist sidewall flex and pinch cuts. Whether you hunt in the early morning, late afternoon, or both, you’ll almost certainly be riding in darkness for half your trip. Make sure your machine’s lights are all working, and better yet, install an accessory light like the small SQUADRON lamps from Baja Designs. They light up the trail like no tomorrow and make it much safer as you slink your way through the endless shadows of the woods. 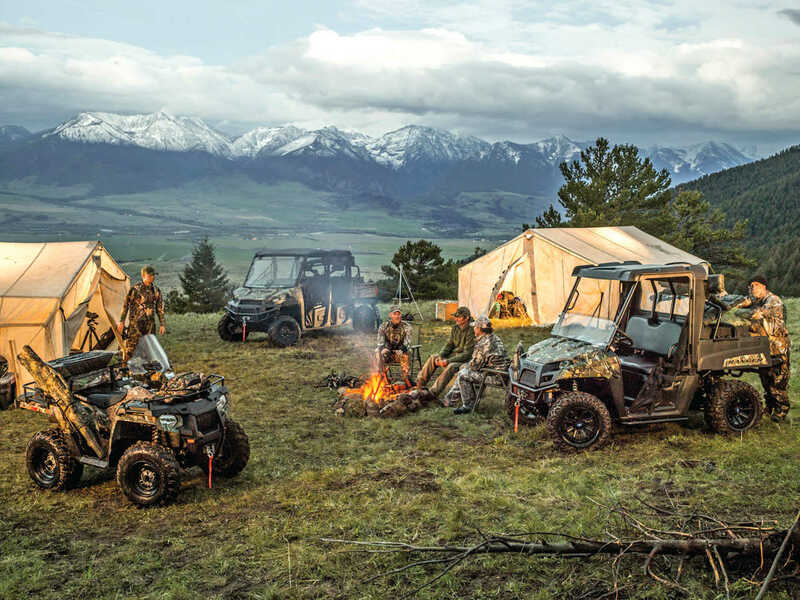 Hunting season often means cranking over a cold engine, powering lights, a winch, hand warmers, or other accessory items, and the last thing you need far from camp is a dead battery. 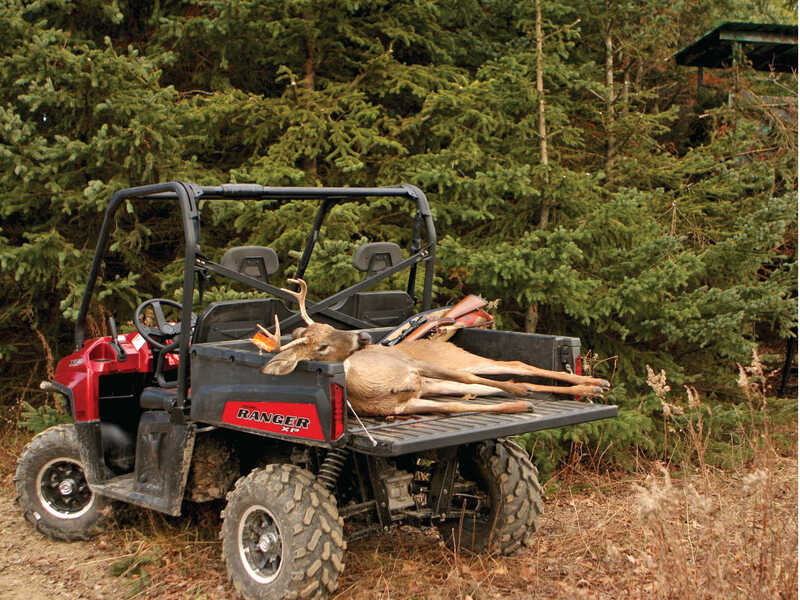 Before you ever head to the woods, make sure your machine’s battery holds a good charge and cranks the engine over quickly. Slower cranking is often the sign of a weak battery and you don’t need to spend a night out in the cold. Better yet, pick up an RM Stator Portable Power Bank. They’re an awesome portable battery pack with 400 cranking amps, and the whole package will easily fit in the glove compartment. We carry one in our truck. It’s an awesome little life saver, and ATV Illustrated readers even get a discount. We promise you’ll love it and find all kinds of uses for it like we have! Using the right oil for the conditions is important, and switching to lighter grade oil for better cold weather starting can make life easier for your battery. Most of the manufacturers use synthetic oils for their excellent protective qualities, especially on startup, but if you want to go with another brand, we’ve been running Mobil-1 fully synthetic year round with zero problems. Don’t skimp on cheap oil in an expensive engine. TIP – Walmart has Mobil 1 in 5 quart jugs for the same price as four quart containers found in other stores. Nothing is more annoying than a constant rattle when you are trying to sneak into the woods. Trust us; you’ll have nightmares about the 10 pointer that ran off because of the loose tools you forgot about until it was too late. Make sure everything is securely fastened down with no loose items in the accessory box or bed. Pack a piece of foam or a couple rags into the bottom of the box or between items. When carrying a gun in a scabbard, we slip it inside one of those soft, protective socks to prevent the gun from getting scratched up, to keep the scope from getting banged around, and to help avoid any unwanted clatter. It’s important to stay warm on the ride in and out of the field. One trick snowmobile riders have been using is heated grips and they work well for ATV riders also. We prefer the type without a huge ceramic resistor wired in, but whatever type you get, find a convenient location for the switch (preferably on the left side so you don’t have to take your hand off the throttle), make sure any heating element is well away from anything critical, and use plenty of zip ties when routing the wires to keep them from getting snagged on anything. One trick we also did was to apply a silicone rubber sealant to all electrical connections, including those on the back of the switch. You don’t need anything shorting out in the rain, snow, or mud. Once installed, the Hot Grips definitely live up to their name, and will keep your hands toasty warm. Another item we like to have is a set of hand guards which protect your hand from getting whacked by branches, but just as importantly, keep most of the mud off the grip area. • A basic first aid kit with a couple different sized bandages, possibly with anti-venom kit depending on where you hunt. Terrain always looks very different at night and if you ever hunt in unfamiliar and remote territory, you should carry a GPS. A GPS can mean the difference between spending the night out in the cold walking in circles, wondering which blow-down the bears are sure to charge from, or making it safely back to camp. 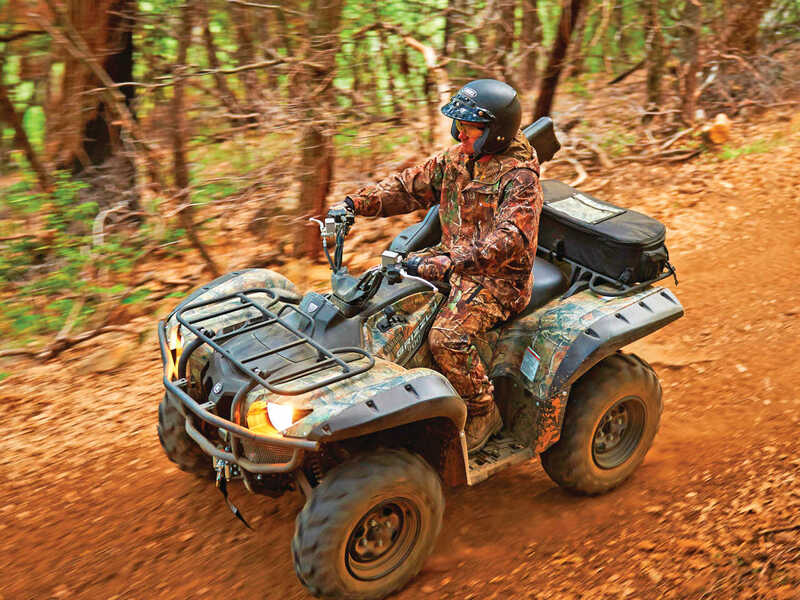 There are even a few ATVs and Side x Sides equipped with a GPS system, but whatever type you have, become familiar with it before you head out into the woods, make sure it is fully charged, and don’t expect it to work instantly. It often takes a minute or so for the GPS to triangulate your position from the three satellites they require, and if you are in a canyon, the signal may be blocked by rock faces or steep grades. All of the above items will easily pack into a sealed aftermarket storage box, which is designed to attach to the vehicle’s racks as well. If you need any one of the above items, you’ll be very glad to have them with you. It is imperative to stay dry and warm, and what you’re wearing will make all the difference between shivering for an hour then going home early, or sitting quietly with your senses alert. We’re especially fond of hunting with a muzzleloader in December, but that guarantees freezing cold at first light, and often means snowy weather all day. Whatever type of weather you will be hunting in, dress for the worst likely conditions. 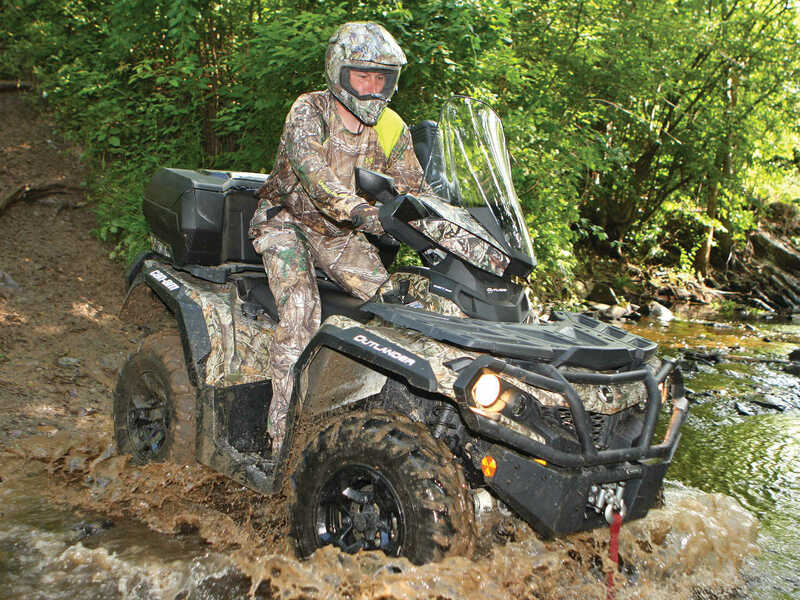 You’ll only be able to count on yourself and your ATV in most areas, and you both need to be prepared. The Nez Perce Indians have a saying, “Every animal knows far more than you.” Anyone who has ever been hunting knows exactly what they meant, and one of the challenges is matching wits with creatures that are supremely skilled at surviving in their environment. Sometimes it’s fun just to watch the critters we aren’t after, but regardless of whether we bag any game or not, it’s always great to be in the woods. Good hunting! 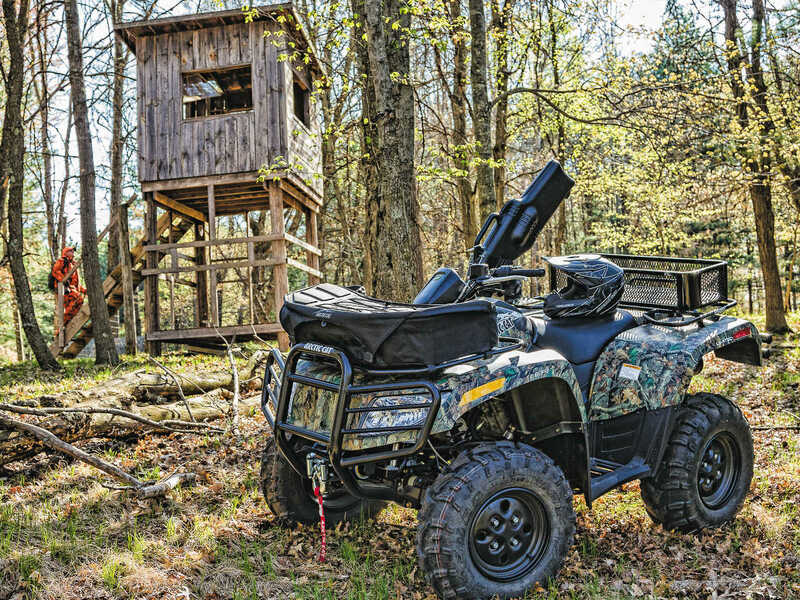 State regulations play an important part when using your ATV or Side x Side for hunting, and you should be familiar with the rules in your territory. It’s a lot cheaper to check first than to learn them from the local Conservation Officer. In most areas, you can’t shoot from an ATV or Side x Side without a medical exemption, although it’s legal to steady yourself when shooting. Just make sure your feet are firmly planted before you squeeze the trigger.